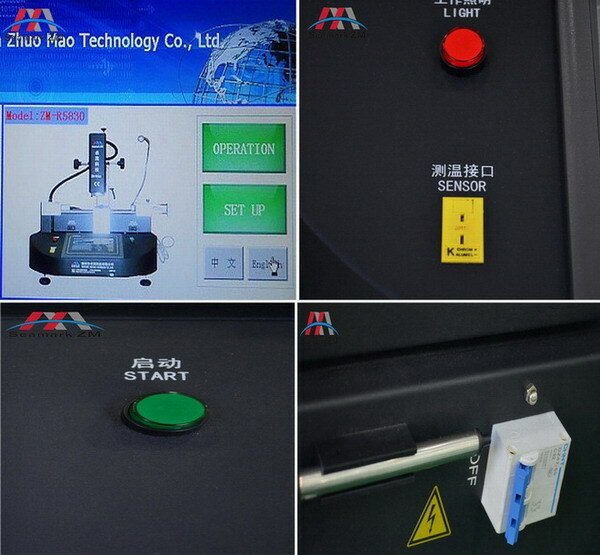 3, There are 3 independent heating areas from top to bottom. 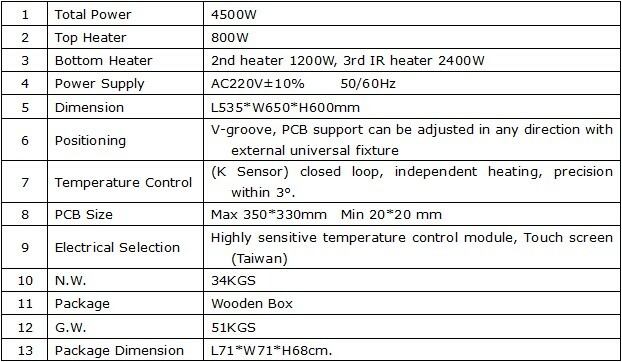 The 1st and 2nd are hot-air heaters, the 3rd is IR preheating, temperature controlled within ±3 °, Top heater can be adjusted freely, second heater can be adjusted up and down, top and bottom temperature can control many groups and sections of temperature parameters at the same time; the third IR heater can be adjusted the power consumption. 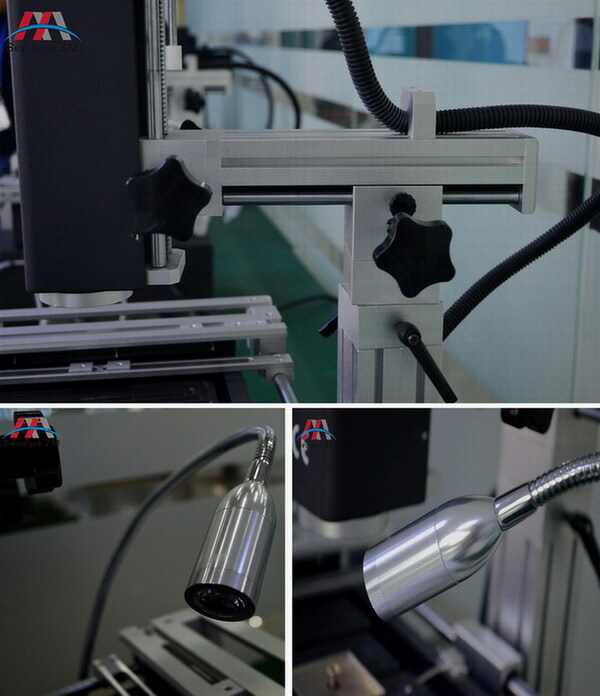 4, Ofter all kinds of hot-air nozzle, it can rotate 360°,With magnet, easy to install and change, customized is available; Bottom IR heater ensure an even heat for PCB board. 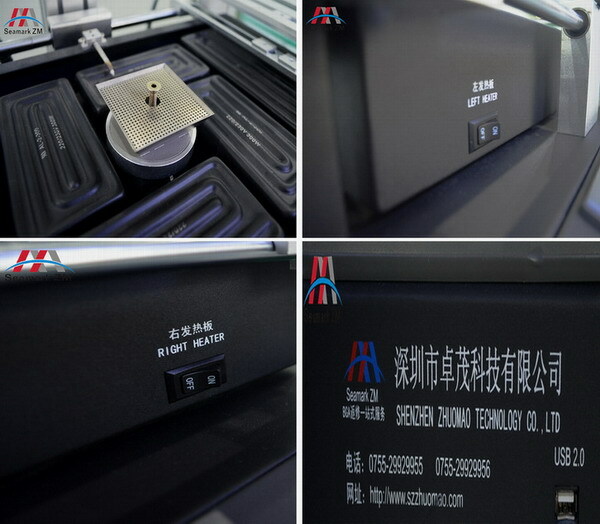 9, CE certificate, with emergency stop and Automatic power-off protection device when abnormal accident happens, with a double over-heating protec.